As it turns out, lavishing by the pool with a bowl of grapes and olives can do a body-or a mind- good. 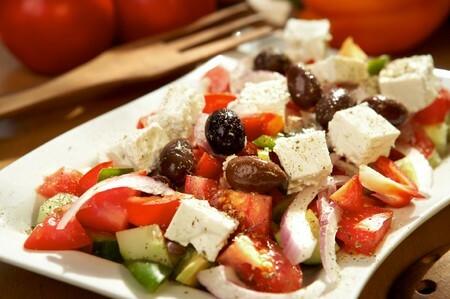 Consuming a Mediterranean diet, rich in tomatoes, fish, dark green leafy vegetables, and fruits may reduce the risk of Alzheimer’s up to 40 percent, according to a new study from the Archives of Neurology researchers in New York. The study analyzed 2,148 adults over age 65 that did not have dementia at the beginning of the four-year study and determined by the end that those eating a Mediterranean-style diet were 38 percent less likely to develop Alzheimer’s disease. The researchers attribute the benefits to the diet being rich in omega 3 and omega 6 fatty acids, vitamin E and folate, but also low in saturated fats and vitamin B12.